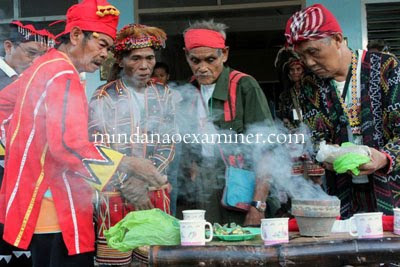 DIGOS CITY, Philippines (Mindanao Examiner / Apr. 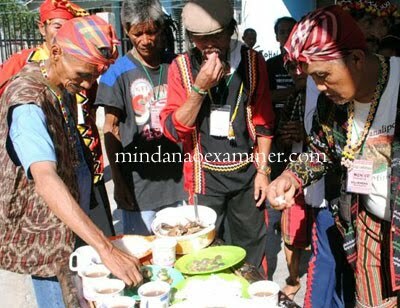 25, 2011) - Indigenous tribal leaders from five regions in Mindanao Island in the southern Philippines performed a ritual to signify their unity in defending their culture and ancestral domain, and held a solidarity meal to begin the three-day Earth Day Conference in Digos City. 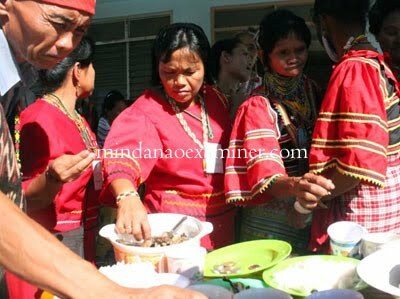 The native chieftains represented the tribes of the Ata-Manobo of Talaingod in Davao del Norte province; Bagobos of Davao del Sur province; the Higaonon and Talaandig of Bukidnon province, Manobo of Caraga administrative region, and the B'laan of Saranggani and South Cotabato provinces. 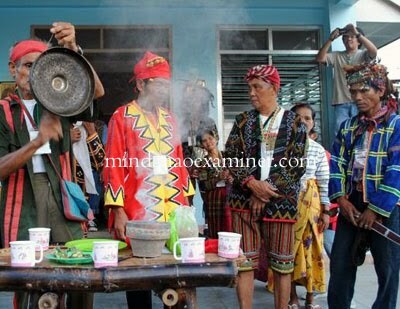 The highlights of the three day gathering will be a cultural program for defense of culture on Tuesday, and a caravan in Davao del Sur areas affected by large-scale mining and coal-fired power plants.